What kind of place is Wakasa/Mikata? Suigekka is located in Wakasa Mikata, which is in the middle of the Japanese archipelago facing the Sea of Japan. Wakasa Town is located almost in the center of Japan. It is blessed with abundant nature, such as "Mikatagoko", registered in the Ramsar Convention, and is also a popular sightseeing spot where you can enjoy Wakasa fugu, eel and bigfin reef squid. 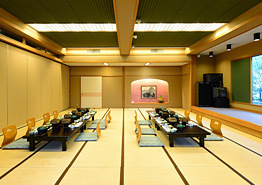 Wakasa Town's history is rich, filled with highlights such as Jomon period ruins and ancient burial mounts (kofun), as well as the "Kumagawa-juku" that flourished as a former connection between the Sea of Japan and the Capital Region and is presently selected as an important traditional architectures preservation district. Since the Maizuru Wakasa Expressway opened in 2014, the distance from the Nagoya/Kansai area has become considerably closer. 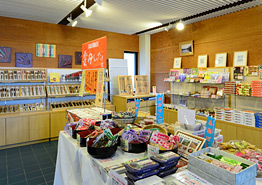 Recently, many foreign tourists have also been visiting Wakasa Town. 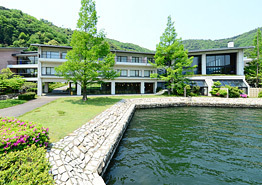 You can enjoy a hot spring bath while viewing Lake Suigetsuko unfolded before you from the public bath with sauna. 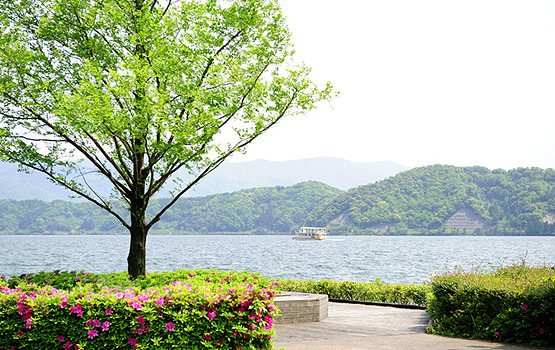 The view of Lake Suigetsuko before you will surely take your traveler's soul to a world of tranquility. This leisurely time will ease all the weariness from your journey. 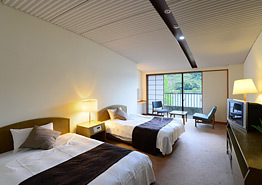 We have two types of Japanese-style rooms and Western-style rooms. 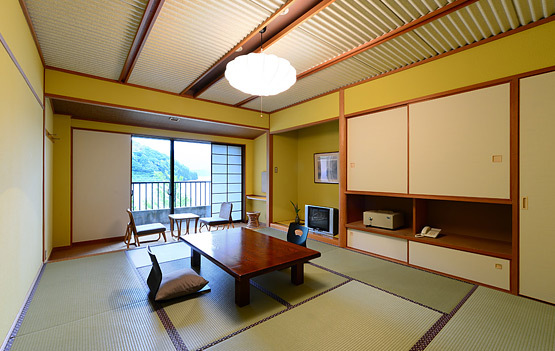 There are six 10 tatami Japanese-style room (with bath and toilet), fifteen 10 tatami Japanese-style rooms (with toilet), and nine Western-style twin rooms (with bath and toilet), as well as items for rent including trouser press, humidifier, iron, Go, Shogi, and card decks. 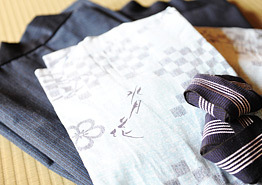 The sea of Wakasa is where cold and warm streams meet. You can enjoy the flavors of the four seasons throughout the year. 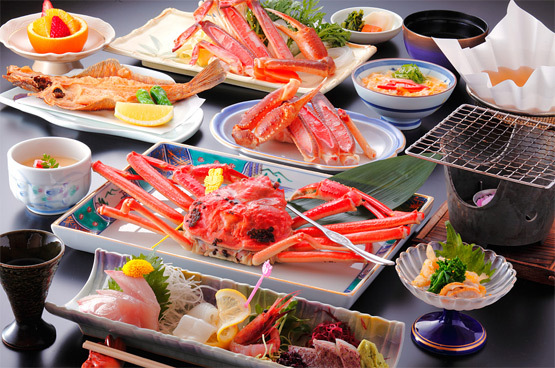 Please enjoy to your heart's content the taste of Wakasa Obama, brought about by the fresh blessings of the sea. The morning cruise invites you to the magical world of the morning. 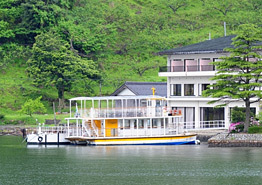 The Morning Cruise recommended by our hotel departs from the hotel dock and goes around lakes Suigetsuko and Sugako, which are a part of the scenic lakes of Mikatagoko. 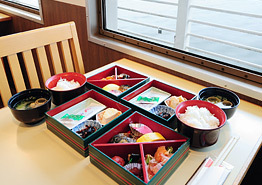 You can also enjoy breakfast on the boat. Make the most of the wonderful scenery while spending an elegant morning. Breakfast included (bento breakfast) ... Breakfast is included in the price of one night/two meals. If you wish to use the Morning Cruise, please make your reservation by noon the day prior to boarding. *The boat leaves at 8:00 am from the pier of this building. *The cruise takes approximately 40 minutes. *The cruise may be cancelled due to weather. Our hotel is proud to present our sports facility, "Baijo Land", which contains two tennis courts and indoor gate ball fields. How about breaking a sweat in the fresh air, surrounded by greenery? 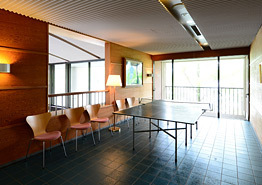 We offer many fully-equipped facilities and equipment such as: an event hall, banquet space (75 tatami), public bath with sauna, restaurant, tea corner, karaoke and snack bar, table tennis corner, souvenir corner, parking (50 vehicle capacity), tennis courts (2 all-weather), indoor gate ball fields (4), rental bicycle. 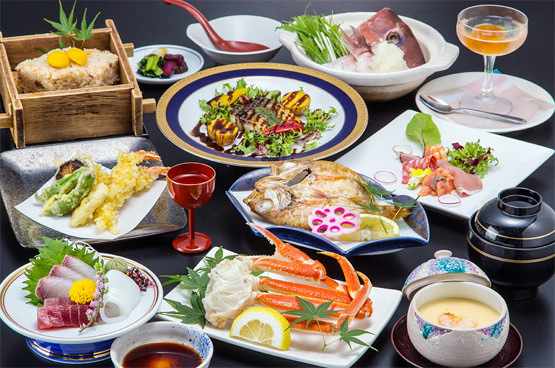 Wakasa, known since ancient times as Miketsukuni, is an area abundant with many delicious seafoods such as mackerel picked in rice-bran paste, Wakasa righteye flounder, and Wakasa tilefish. Stroll through the historical inn towns, such as Kumagawa-juku, and enjoy the "National Treasure Tour" with the many temples considered cultural assets. This is a lake mentioned in the poems of the Manyoshu and widely known for its beauty through the seasons since ancient times. Uriwari no taki Waterfall, selected as on of "100 selections of national famous clear water"
Recognized as one of the "100 selections of national famous clear water" by the Ministry of the Environment. Listed as one of Japan's Special Places of Scenic Beauty. A valuable ruin where the townscape of the Warring States period can even be felt today. 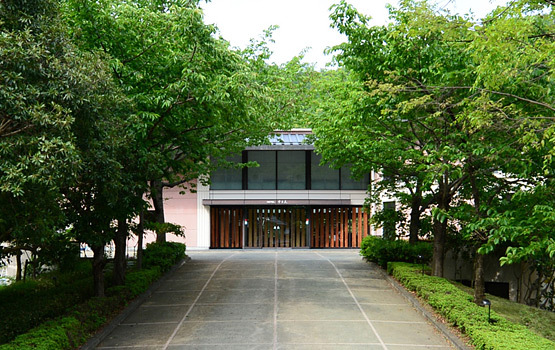 You can enjoy this museum as a place to learn about the lifestyle and culture of the Jomon people, including the Torihama shell mound. Speed across the lake and through the wonderful scenery, enjoying the refreshing breeze. Located on a 11.24 km toll road is a mountain top observation deck. You can reach the observation deck via cable car or lift.